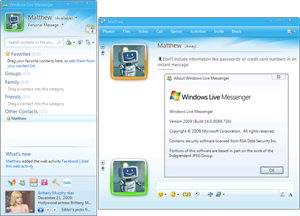 Now you can carry your windows live messenger with you on a portable storage device like pen / thumb drive. No installation is needed. Just run a small .exe file and your Windows Live Messenger is ready to use. Note: Linux OS is not supported as .exe file cannot run in Linux OS.